A plastic tub is the best option if you have a tight budget or aren’t a bath person. For a relatively low price, the plastic material is durable, low maintenance, and holds heat well. This would be a great option for rental properties or house flippers, as it gives off a great appearance and every penny counts in these investment situations. This option is the most popular one for homeowners as it is versatile and very affordable. There is a huge selection of acrylic tubs manufactured on the market today which allows you to choose from a variety of features, including more luxury items like whirlpool jets in a soaking tub. Acrylic material is beautiful, durable, easy to clean, and known for its resistance to mildew. This is a great option for families who are sensitive to mold. Lately, there are tons of advertisements for companies who can outfit an existing tub with a new fiberglass one. And for good reason! This lightweight and durable material can be crafted in a variety of shapes and sizes, perfect for any bathroom remodeling project. One word of caution would be that this material is not as durable as other materials and should be cleaned regularly to avoid mold and staining. Antique looking metal clawfoot tubs are real statement pieces in a bathroom. Often enameled in cast iron, these old-fashioned tubs extremely heavy and may require additional flooring support. Due to the nature of the material, these baths do not retain heat well, so it may not be suitable for those who love a nice long bath. Natural stone tubs, such as ones made of marble, can be found in the most luxurious custom homes. These tubs are often hand-carved works of art with a hefty price tag. Because stone like marble and granite are extremely heavy, subsequent support is necessary to ensure these tubs will last years to come. For those looking to create a Zen spa bathroom, a stone bathtub is a perfect addition both in style and function; stone retains heat better than any other material. 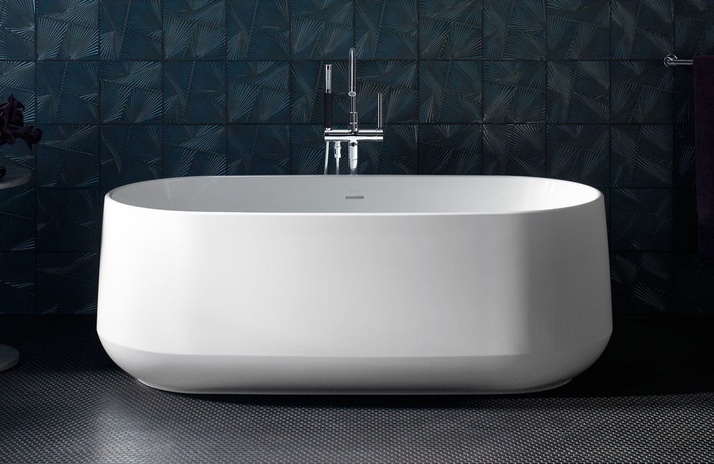 When selecting the best bathtub for your bathroom remodel, functionality is going to be key. Traditional acrylic tubs are the best option for families bathing young kids for its versatility and ability to withstand bathtub playtime. However, homeowners looking for a bathroom retreat can afford to design the bathroom around a luxurious freestanding tub. Speaking with a design consultant to discuss your bathroom remodeling objective is the best way to ensure that your project is as relaxing as a soak in the tub.